Follow our news and events about what's happening in the Swiss and Austrian real estate market. Alpine Homes will keep you posted! Our New Alpine Swiss Property List is out! Click here to find out more about all our fantastic listings in the Swiss Alps, price reductions and advice on buying on properties. For a personalised selection of properties, please contact our team of passionate alpine experts info@alpinehomesintl.com or +41 27 323 77 77. Choosing the right chalet for you from a plethora of ‘for sale’ items can sometimes be nerve-wracking. So much so that you might end up not buying at all and then regretting it each time you feel like hitting the slopes. This is why we’ve put together a step-by-step guide on how to choose the best chalet for your needs, so that you can attain your dream of owning a snow-toppled home in the heart of the Alps. And since one always learns best by force of example, we thought that a case study would best illustrate our tips. The natural choice for this was Verbier - one of the most sought-after ski resorts in the world. Without further ado, let’s take a step-by-step walk through our guiding points. We’re starting our journey assuming that you have already picked out a resort in which you’d like to settle. But if you are still having trouble deciding, you can check out our article offering general advice on buying ski property for some tips in choosing the resort. For all intents and purposes, we will be looking at Verbier in this article. However, Verbier is a not a single point in space and there are many locations one can settle for, depending on his or her needs. When filtering through chalets, you should first think about how close to the piste you would like to be. If you cannot stand having to commute even for a little bit, then finding a chalet that is within walking distance of a gondola is a must. Nonetheless, you should bear in mind that the closer you are to the ski slope, the more expensive the house will be. But it pays to have the comfort of hopping straight into a gondola. If closeness to a ski-piste in Verbier is what you are looking for, then the luxurious Residence Agate could be just the choice for you with its 5 en-suite bedrooms and private sauna. Even though Residence Agate is a penthouse and not technically a chalet, its roominess make it a strong rival for any chalet on the market. If, however, you don’t minding taking a short ride with a bus shuttle to reach the gondola or you are fond of walking through the snow for a bit of exercise, then you should filter out properties closer to the slopes and only look at those that are slightly further afield. One such choice could be the beautiful and cozy Chalet Vermont. When considering the location of your future chalet, you should also ask yourself what you intend to use the chalet for. Do you want to go there only during the winter or do you wish for a year-round house? If the former, then a chalet closer to the piste might be better for you. If the latter, you should explore chalet locations that are slightly further from the main skiing attractions, but closer to hiking trails or areas where one can enjoy other types of summer outdoor activities. You should also consider whether you’d like to cook your own meals most of the time, or whether you prefer to always dine out. In that case, you should choose chalets located in the heart of the Verbier resort, which are closer to restaurants. One such example is our Valentine 210 property, located at the center of Verbier and part of a complex that offers a Spa area, a sauna, a Hammam, a gym and a games room. Or, Belle Neige, which features a smaller kitchen, ideal for those that do not want to waste any space for facilities they will not utilize. The second item on your filtering list should be the number of people that you want your chalet to house. If you are a family of two, then you could settle for something smaller in size and opt-out on the chalet, focusing on a mountain apartment, such as Le Kid 118 that features cozy interiors and stunning mountain views. But if your family will increase, you should bear that in mind and choose a more spacious chalet that has at least 3 bedrooms. At this point you should also consider whether you will be vacationing only with your close family or whether you will be housing extended family as well. Or perhaps you are an outgoing person that likes to throw parties and have many friends over. If that’s the case, then a spacious 4 bedrooms+ chalet is what you are looking for. Chalet Corniche with 4 bedrooms and en-suite showers for all of them, including an en-suite bathroom for the master bedroom is the perfect choice. Another option is the previously mentioned Residence Agate that features 5 luxurious bedrooms. 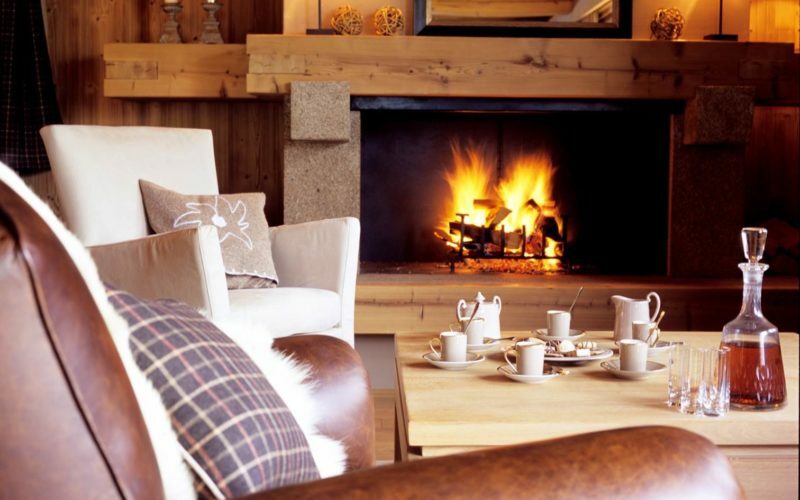 And speaking of luxury, another thing to consider when looking to buy a chalet is its interior design. Do you prefer an extremely luxurious feel or are you more of a down-to-earth person that prefers to feel the rustic style of the mountain side? Depending on your answer to these questions, you can easily rule out properties that do not fit your choice of style. When looking at the interior design of a chalet, you should also consider the modern vs traditional dichotomy. Not every chalet has a rustic, traditional style, some come fitted with modern furniture and finishings, making them ideal for a modern person. Chalet Vermont or Residence Agate are ideal for modern style chalets, while for a more traditional look we recommend choosing the spacious Fleur de Lin or the tranquil Montigny 24. But what if you want a bit of both? Then try a mix of modern and traditional, such as the one displayed inside Le Fayard that combines a crisp and clean white colour with classic wooden pieces that are reminiscent of traditional German houses. Last but not least on your list of filtering items when choosing a chalet, are the facilities it comes equipped with. Some people are really keen on every bit of comfort that a chalet can offer, while others are more restrained. Either way, you can easily rule out property if it does not cater to your needs. For example, do you want to enjoy a relaxing sauna moment after being out in the cold without having to share it with anyone? Then look only at properties that have this type of feature. Would you like to have heated-boot warmers in the hallway to warm up your feet before heading out into the snow? Then choose the above-mentioned Le Fayard. 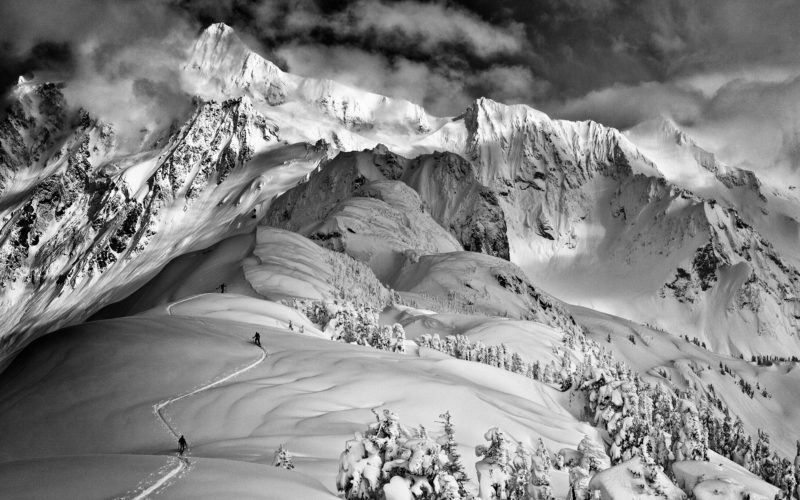 Is a ski room essential for you in order to store your gear? The answer could be Residence Agate. Are you just as fond of swimming as you are of skiing? Make sure your chalet has an indoor pool like the ten-meter one with swim jets inside Chalet Corniche. Whatever your preference, make sure you take it into consideration before deciding on a property. This way your decision process will be much easier since you will be ruling out everything that does not absolutely fit your most important needs. To go over the list again, you will have to decide on a location in Verbier, on the sizing of the house, on the type of interior design and on the types of facilities the chalet has to offer. If you’ve run through all of these, step-by-step, you will reach a decision in no time. Good luck! 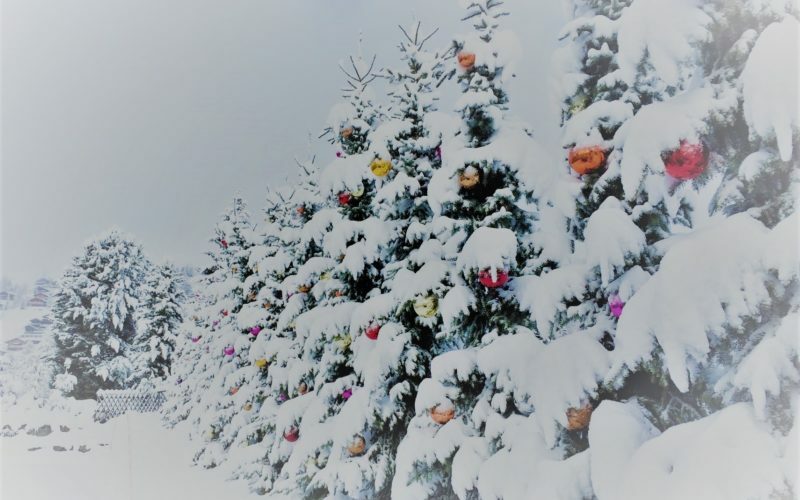 The Alpine Homes Team wishes you a very Merry Christmas and a Happy New Year from the Swiss Alps! We are delighted to announce that we will be hosting an Open Event at the Chestertons Knightsbridge on the 4th of December to celebrate the opening of 2018/19 Alpine Winter Season! Come speak with our experienced and professional staff to discuss properties in the Alps. Verbier is first and foremost a luxury ski resort. One could even say it is THE luxury ski resort since many tourists would claim that there is no other like it. Being graced not only with the presence of celebrities such as James Blunt or Richard Branson, but also with that of British Royal Family members such as the Duke and Duchess of Cambridge and the Duke of Sussex, together with their cousins Princesses Beatrice and Eugenie of York, Verbier is a top choice when it comes to looking for a chalet location in the Alps. 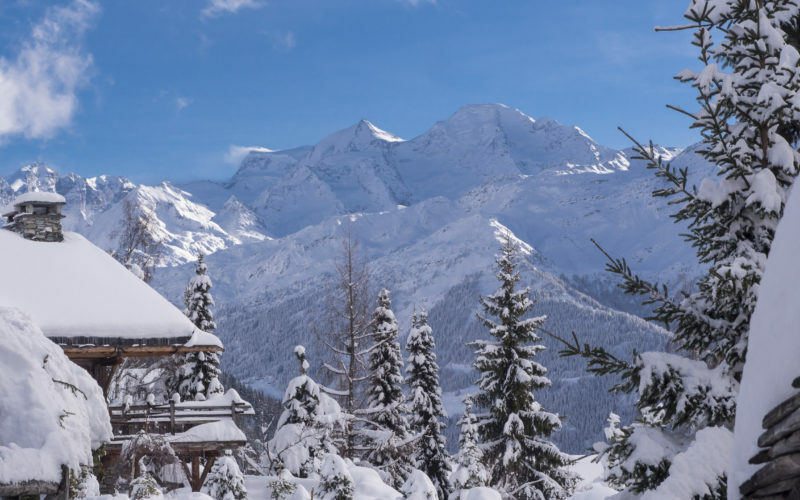 While its popularity amongst royals and celebrities is a factor to consider when thinking of purchasing a luxury chalet here, there are plentiful of reasons why it should be your first pick. First, as a luxury ski resort par excellence, Verbier offers some of the best ski slopes in the world with snow lasting most of the year. Up to 1999, one could even ski here during the summer. 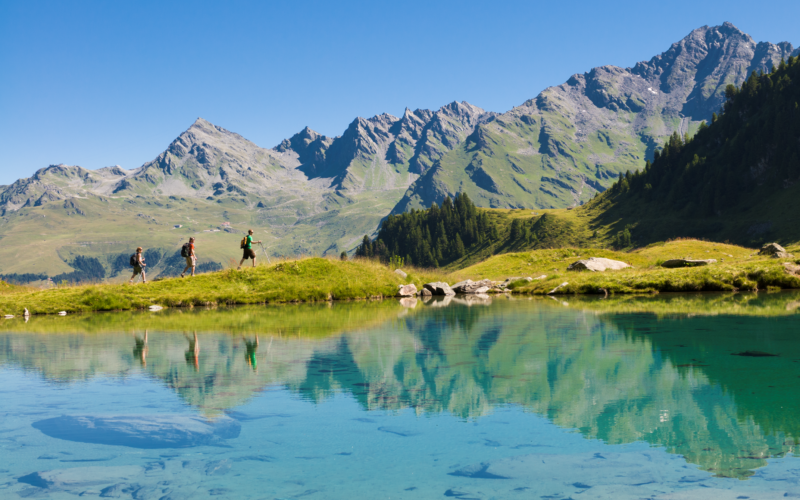 Nowadays, this is no longer possible, but Verbier is also a busy resort in the summer with amazing outdoor activities such as mountain biking, paragliding, hiking, etc. Second, ski pistes aside, Verbier also offers some great opportunities for off-piste skiing. So all the powder hounds looking for hidden and untrodden skiing locations should consider Verbier with the backside of Mont Fort or the valley of Vallon d'Arby with its tree skiing and steepy and bumpy itineraries. Third, facilities are paramount when looking for an alpine location since most people look for easy-access to slopes and effortless post-skiing relocation. Moreover, great luxury restaurants and nightclubs are not a bonus, but a necessity to most luxury skiing lovers. As such, Verbier lands on both feet with a great plethora of the world’s finest dining experiences and excellent facilities. Last, summer activities abound in Verbier and for someone looking to make the most out of his or her investitions, this makes the location ideal for buying alpine property. Amateurs or daredevils will be both satisfied by the Verbier Bike Park with 12 km of downhill tracks, 213 km of enduro and more than 500 km of cross-country tracks. If biking is not quite your thing, you might consider hiking. With lifts taking you to the remotest of places, you can enjoy hiking trails that would otherwise be more cumbersome. Add to that a summer pool, golf, or paragliding and you have all the reasons to take a look at our top picks for luxury ski chalets in Verbier, which you can find below. An exclusive development, found in the heart of Verbier, Valentine 210 benefits from the private facilities of the ‘Victoria and Valentine complex’ - a Spa area, complete with sauna, Hammam, gym and a games room. If you’re not a fan of properties that span in height and prefer one-floored ones, then Valentine 210 is the choice for you. All the more so if you have a family, since out of the three bedrooms, one is a quad bunk room. While bunk rooms aren’t synonymous with luxury, the minimalist and clean touches of the old wood finish created through masterful carpentry all throughout the chalet and most notable in the kitchen, will make you feel like the privileged patron of coziness. The open plan living, invaded with natural light through the French windows hosts a modern fireplace, ideal to sit in front of while sipping hot cocoa topped with lavish marshmallows. If the preferred environment for hot cocoa tasting is the ravishing scenery of the Alps, then the roomy wrap-around terrace offers an unhampered view of the mountains. The apartment also comes with 2 internal parking spaces, cave and ski locker, ensuring facilities are topmost on the list of priorities when it comes to chalet features. Le Fayard is a luxurious abode, accessed via a private flight of stairs and bathed into a crisp and clean white colour, reminiscent of traditional German homes. Tradition however, blends seamlessly with modern touches and finishes. The up-to-date furniture mixes with cozy sofas and classic wooden pieces to create a wonderful blend of new and old. A spacious living area boasts plentiful of light coming in through the ceiling-to-floor windows and an impressive stone fireplace that has a unique and modern structure. Add to that the terrace with panoramic views of the mountains and there’s little left to be desired. No mountain vacation is complete without the privacy of an en-suite bathroom, and the master bedroom features a stunning wooden barrel-style bathtub and a separate steam/Hammam shower. But the crowning feature of this ski chalet is represented by the heated boot-warmers that greet you in the hallway when preparing to leave the house for an energizing ride down the slopes. The crown jewel of renowned “Les Trois Rocs” residences ensemble, located in the heart of Verbier, the Agate Penthouse will satisfy the pickiest of luxury lovers. The duplex penthouse apartment occupies two floors and, even though not technically a chalet, does feel like one, and a roomy one at that. With 5 en-suite bedrooms and a private sauna for the master bedroom, Agate Penthouse features more luxury and space than most chalets, even those of Verbier. Sometimes space is the epitome of luxury, other times it’s the closeness. Agate Penthouse mixes the two with full-height ceilings and colossal, exposed roof ruses and the proximity of the ski slopes which are a stone’s throw away. Accessibility is also a feature of the house indoors, with the vast wrap-around terrace reachable from most of the rooms. This same terrace, together with the entire house, benefits from abundant sunlight, due the SW orientation. Natural stone and old wood use creates a unique experience throughout the house and adorns the carefully-crafted living room fireplace. And if you are wishing for the same kind of coziness, but whilst waking up or going to bed, Agate Penthouse does not disappoint with an intimate fireplace in the master bedroom that will put you to sleep in no time. Add to that your own private spa area, Hammam and shower, and private ski room and your skiing and mountain vacation desires are fully-satisfied. A family chalet first and foremost, Chalet Vermont is located in the region of Patier, very close to the centre of Verbier and with easy access to the Navette bus which will take all ski lovers to the best pistes. Since no one would even think of calling a small wooden cabin a luxury chalet, luxury means space. And Chalet Verbier has that plentifully. With 4 bedrooms equipped with ensuite showers or bathrooms, you get both privacy and room for a wholesome mountain experience. The spa/TV room inside the chalet could also be employed as a 5th bedroom, so if unexpected friends drop by, there will be nothing to worry about. A worriless life is also indicative of luxury. While we can’t guarantee you will be worry-free year-round, your stay at Verbier should pose little problems in terms of stress. All the more so since you will benefit from your own private garden terrace, complete with a sunken hot tub and some breathtaking mountain views which you can enjoy while being surrounded by warm water or while lounging on the balcony. Speaking of balconies and windows, space is nothing without light. And so, while you are warming up in front of the centerpiece fireplace in the living area, you will be bathed in light coming in through the generous windows. Chalet Verbier is your very own sun trap. A sumptuous property, in the vicinity of the Savoleyres lift station, Chalet Corniche is the epitome of luxury, cabin-style. 3 floors snugly fitted with wooden panels, together with a separate ski-entrance, a boot room, and a guest toilet, make this space the ideal one for having friends staying over or just popping by for a quick change before heading to one of the restaurants downtown. En-suite showers for the four bedrooms and an en-suite shower and bathroom for the master bedroom will guarantee privacy and enough room for you to feel quite at ease and unencumbered by worries or shabby fittings. And there’s nothing shabby about the stunning dining room and fireplace that warms up the entire house. But we’ve saved the best for last - your very own private spa, found on the lower floor, where you can also enjoy some steam in the sauna. A Hammam, a gym and a ten-metre pool with swim jets top this luxury chalet in Verbier. If you enjoyed our pick of the luxury ski chalets of Verbier, revisit our article from time to time as we will be updating it with our most desirable and attractive alpine properties. You’ve thought about it, dreamt about it, actually considered it as feasible, maybe even started looking for some ski property for sale, and now you’ve finally decided that it is time to become an Alpine home owner. While the desire to become a homeowner in the Alps is strong, you shouldn’t rush into a decision without first considering some important aspects. This is why we’ve put together our best advice when looking for ski property for sale. Here’s our top 5 tips. This seems intuitive when looking to buy property in general. Researching the market should always come first, but in the case of ski property for sale, there’s more than meets the eye when it comes to research. Popular or high-demand resorts are most obviously the first place to look, but don’t mistake popularity for luxury or high price. Extremely expensive resorts aren’t always the most popular or the only popular ones. While well-known and advertised skiing locations in the Alps can be a sure deal when buying property, the purchasing of a chalet in one of these resorts might also mean a higher price paid when buying, but not a higher income from rent. As such, the best tip when looking for ski property for sale is to research those resorts that are not as expensive, but still quite popular with the skiing aficionados. If you cannot find any property at a reasonable price amongst the popular but less expensive resorts, then try a different market research technique. Dig deeper and see what the trends are. Which is the most likely resort to become the next big thing? Find a couple of locations that are the best candidates and start looking for property in the Alps. But since this isn’t a sure deal, there are risks. While the gains might be big since you caught on the trend early and bought your house at a reasonable price, you might also end up with a chalet that isn’t faring as well as you hoped because the trend turned out to be just a fad. So bear in mind that when going for up-and-coming resorts, you might not necessarily strike gold. Buying high-altitude property in the Alps will ensure better slopes, but it might also mean fewer opportunities for renting or using off-season. If you are acquiring a chalet with the intention to spend as much time as possible there, even during late spring and summer, then you might want to consider properties at lower altitudes as these generally offer more opportunities for outdoor activities during the warmer months. In terms of ski slopes, you might have to rely on snow cannons for late and early winter, meaning inferior-quality snow. But not everyone is as picky when it comes to the piste on which they are sliding down and it might be worth the risk. This way you will have a chalet that can be used or rented year round. If you are interested in this type of property, be on the lookout for chalets that have nearby picturesque lakes, stunning landscapes, multiple hiking trails, and outdoor activities. When choosing to buy property in the Alps, it is also essential to know the type of visitors specific to your designated resort. For example, some resorts are more popular with families with children travelling alone or accompanied by family friends, while others cater more to the needs of younger couples or groups of friends and to the needs of younger generations such as millenials. Depending on your location, you should look for property that matches the visitors to make the most out of your chalet. If your chosen resort is extremely popular with families, then invest in a bigger chalet that has amenities fit for a family of four or more and includes a separate space where children can play without disturbing the adults, with a big garden where they can run around all summer long. No point in buying an intimate couples retreat. 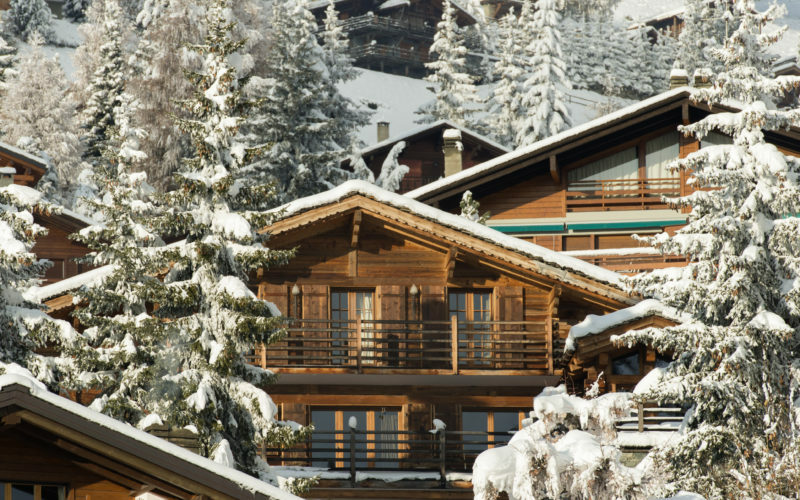 When looking at ski property for sale, you should always take into account the hidden costs of owning that chalet. Ignoring all the expenses that pertain to the actual purchasing of the property, you should always bear in mind when calculating your budget all the maintenance costs. You won’t be there year round to take care of everything and a leaky roof, a window that doesn’t close properly anymore, or the central heating system not working will be a nightmare for your tenants and for yourself. Consider things carefully before buying, so that you have enough money left for maintenance if needed. If you need more information pertaining to purchasing property abroad, you can find useful advice on the gov.uk website. Make sure you seek out all the advice needed before committing to anything and there will be nothing standing in between you and your dream property in the Alps. What are the first things that pop into your head when you think of Switzerland? Chocolate, expensive watches, banks, the Swiss army knife? Maybe all, maybe some of these things. But there is something that will always be on that list - the Swiss Alps. If Switzerland were to have a nickname, it should probably be “home of the Alps” with 65% of its entire surface area being covered by this mountain range. It’s no wonder then that some of the world’s most beautiful chalets can be found in Switzerland. With a plethora of ski slopes, mountain trails and scenic views of world famous mountain peaks, this country is an ideal retreat for anyone looking for respite from the hustle and bustle of everyday life - whether that respite is a quiet, nature-infused vacation or an action-driven one spiced with late-night partying. And if you are to choose a mountainous retreat, then the natural step is to enjoy it to the fullest by relaxing in a picturesque chalet set on top of the world. Whether you’re a prospective client looking for a stunning chalet acquisition or whether you just want to enjoy browsing through beautiful homes, here are our top 14 most beautiful chalets in Switzerland.